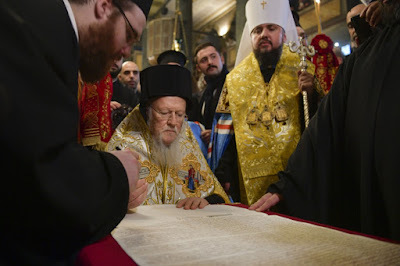 We will start with the fact that the tomos signed at the Phanar on January 5, 2019 carries on a certain tradition of issuing similar documents that has been formulated at the Patriarchate of Constantinople over the past two centuries. It began with the issuing of the tomos on the autocephaly of the Orthodox Church of Greece (that is, the church within the borders of the Greek state) in 1850. This was followed by the tomoi on the granting of autocephaly to the Churches of Serbia (1879), Romania (1885), Poland (1924), Albania (1937), Bulgaria (1945) and Czechia and Slovakia (1998). In 1990, a tomos was likewise issued on the recognition and approbation of the autocephalous status of the Orthodox Church of Georgia. Thus, the tomos for Ukraine wasn’t created from scratch. Both its form and its content follow a certain rule. In ecclesiastical documents of this level, there are always traditional, ritual phrases as well as clear, practical, immutable formulations. At the same time, almost every one of these tomoi has its own characteristics, reflecting the specific situation in each local church. We will try to sort out what in the Ukrainian tomos is typical and what is, so to speak, specific. Let’s start with the banal things. It is understandable that in tomoi the name of the newly-established church is always indicated. Moreover, this name is always (!) tied to the name of the state on whose territory it is being created. For example: “The Orthodox Church in the Kingdom of Greece”, “The Holy Autocephalous Church of the Kingdom of Serbia”, “The Orthodox Church of the Kingdom of Romania”, “The Holy Orthodox Church in Poland”, “The Autocephalous Orthodox Church of Albania”. Such names indicate that the basis of the creation of autocephalous churches always relies on the territorial principle. Each local church is a church that brings together the Orthodox Christians in a certain territory. The tomos from January 5 names the newly-created church “The Holy Church of Ukraine. In the charter of the newly-created church, accepted in Kiev in December, it is called “The Orthodox Church of Ukraine” (OCU). So far as we know, during the preparation of the tomos the Patriarchate of Constantinople a slightly different name: “The Orthodox Church in Ukraine”. Such a name would, of course, further emphasize the territorial character of the ecclesiastical structure being created, but a slightly corrected formulation was adopted. This, however, also fits quite well with the tradition of naming local churches according to the names of the states. In all the tomoi on the granting of autocephaly, the title of the new church’s primate is clearly established. True, there have been cases when a synodal form of government was introduced into the church being created (for example, in Greece). In such cases, the synod was at the head of the church, as a kind of “collective primate”. In the case of the OCU, her primate bears the title “His Beatitude the Metropolitan of Kiev and All Ukraine”. At the same time, in the tomos it is especially emphasized that “no additions or subtractions to this title are allowed without the agreement of the Church of Constantinople.” We have not seen such reservations in any other tomos. Its appearance in the Ukrainian tomos of January 5 was, of course, Patriarch Bartholomew’s reaction to the Kiev Patriarchate’s attempts to a reference to the patriarchate in the new primate’s title. We should emphasize that the tomos from January 5 does not suggest using one title for the primate “for internal use” and another for communication “with the outside world”… The title is secured in the tomos rather firmly and unequivocally. All tomoi about the granting of autocephaly without exception contain the requirement that the primate of the church being created commemorates the Patriarch of Constantinople and all the other primates of the local churches in the diptychs. We should explain that the diptych is the generally-accepted list of heads of local Orthodox churches. Each primate commemorates at each of his liturgies all the other primates in the order of the diptychs. Moreover, the primate of each autocephalous church is obliged when entering into his rights to send letters announcing it to the Patriarch of Constantinople and the other heads of local churches. There are analogous requirements in the tomos from January 5. These quite standard clauses raise one awkward question in the Ukrainian context. The head of the OCU, Metropolitan Epifany, today is commemorating in the liturgy all the primates of the local Orthodox churches with the exception of Patriarch Kirill of Moscow. He has bluntly stated that he refuses to commemorate Patriarch Kirill on account of the Russian military aggression against Ukraine. At the same time, Patriarch of Constantinople Bartholomew does commemorate the Patriarch of Moscow. The tomos on the granting of autocephaly directly obliges the Metropolitan of Kiev to commemorate all the primates of the local churches without exception (and hence also Patriarch Kirill). The refusal to commemorate the Patriarch of Moscow in the diptychs contradicts the unequivocal requirement of the tomos. In all the tomoi on the granting of autocephaly, there are requirements to refer to the Patriarch of Constantinople and the other local church on the most important dogmatic and canonical issues. Of course, this requirement has been formulated in different ways in different historical periods. In the 19th century tomoi, it sounds quite soft, almost like an optional recommendation. For example, in the tomos on the autocephaly of the Serbian Church (1879), it is stated that the Metropolitan of Serbia should, “according to ancient custom” refer to the Orthodox patriarchates and other autocephalous churches “on issues of common ecclesiastical significance which require a common voice and approval.” Here the Patriarchate of Constantinople is in no way set apart from the other local churches. But in the 20th century tomoi one can see completely different rhetoric. 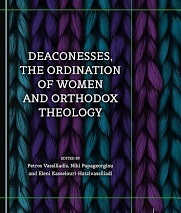 Already in the tomos on the autocephaly of the Polish Orthodox Church it states that the Patriarchal See of Constantinople is entrusted with the duty “of caring for the Orthodox churches finding themselves in need.” Therefore, on issues “exceeding the jurisdictional boundaries of each autocephalous church,” the Metropolitan of Warsaw should refer to the Patriarchal See of Constantinople, “through which communion with the entire Orthodox Church is maintained.” This requirement is practically repeated verbatim in the tomos on the autocephaly of the Albanian Church, while in the tomos on the autocephaly of the Church of Czechia and Slovakia, it is quite clearly stated that the See of Constantinople is “entrusted with taking care of all the holy churches of God.” In this tomos it even states that the Church of Czechia and Slovakia can invite hierarchs of the Patriarchate of Constantinople in important cases. All these expressions are not merely ritual phrases. 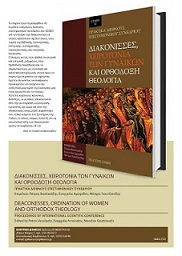 Since the early 1920s, a doctrine has been formulated about the special rights of the Ecumenical Patriarch. As is well known, today this teaching is actively challenged by the Patriarchate of Moscow, wherein lies one of the sources of the profound conflict between the Sees of Constantinople and Moscow. In the tomos on the autocephaly of the OCU, we also find unequivocal statements about the special status of the See of Constantinople. Here it is clearly stated that for resolving important issues of a ecclesiastical, dogmatic or canonical character, the Metropolitan of Kiev should refer to the Ecumenical See in order to receive an authoritative explanation about it. The tomos does not suggest appeals to other autocephalous churches for similar explanations. Additionally, in the tomos from January 5 stipulates the Patriarch of Constantinople’s right to receive appeals from the Ukrainian bishops if they disagree with juridical decisions about them. In such cases, the verdict of the Ecumenical Patriarch will be final and not subject to revision. In the 19th century tomoi, the special role of the state in creating new autocephalous churches was always emphasized. In that century, the Patriarchate of Constantinople always emphasized that the desire to proclaim autocephaly came not only from ecclesiastical hierarchs, but from the leadership of their respective states. For example, in the tomos on the autocephaly of the Serbian Church (1879), it is stated that the request for the proclamation of independent ecclesiastical status was directed to Constantinople first of all by the Serbian King Milan Obrenovic and secondly by Metropolitan Michael of Belgrade. In the tomos on the autocephaly of the Church of Greece (1850), no mention is made of ecclesiastical hierarchs appealing to Constantinople. 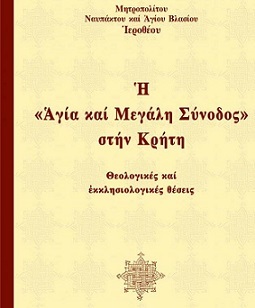 Here it is stated that the Patriarch of Constantinople learned of the desire of the Greek people and clergy for their own independent church “from the letter from the pious ministers of the God-protected government of Greece.” That is, it was the Greek government’s appeal that initiated the process of granting autocephaly. In the 19th century tomoi, there was one more characteristic detail. In them, the proclamation of new autocephalous churches is always motivated by the creation of independent states. The appearance of the Greek, Serbian and Romanian Churches followed shortly after international recognition of Greece, Serbia and Romania, respectively. In the texts of the 20th century tomoi, the government’s role is, as a rule, not so forcefully emphasized. In the tomoi on the autcephaly of the Churches of Poland, Bulgaria and Czechia and Slovakia, nothing is said about civil authorities. In the tomos on the autocephaly of the Albanian Church, although the state is mentioned, it is not the initiator of creating the new church. Here it is only stated that the civil authorities gave the Patriarch of Constantinople guarantees that members of the Orthodox Church of Albania would have “complete independence and freedom to prosper.” It is quite obvious that the 20th century tomoi reflected a new situation in church-state relations. Governments now declare their secularism and non-intervention in ecclesiastical affairs. In this regard, the Ukrainian tomos clearly takes us back to the 19th century. Here the creation of an autocephalous church is motivated, above all else, by an independent Ukrainian state having existed for almost three decades. It is especially stressed that throughout this time the leaders of Ukraine have repeatedly appealed to the See of Constantinople with requests for autocephaly. It is specifically stated in the tomos that it is being awarded not only to the Metropolitan of Kiev, but also to the President of Ukraine. It could be said that the tomos was written from a perspective of symphonia between secular and ecclesiastical authority, which looks like a blatant anachronism at the start of the 21st century. 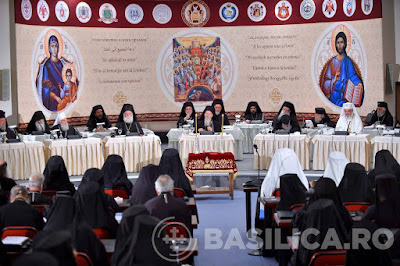 In almost all the tomoi on the granting of autocephaly, there is discussion of the need for newly-created churches to receive holy chrism from the Patriarch of Constantinople. This rule also requires a brief explanation. Holy chrism is the special substance used in performing the sacrament of chrismation. In the Orthodox tradition, chrismation is performed on a person immediately after baptism. Through chrismation, the person is given the gifts of the Holy Spirit, allowing him to fully enter the life of the Church. For this reason, the sacrament of chrismation has great significance for the Church. Holy chrism is prepared by the heads the local churches. Today, however, not all primates have the right to prepare and sanctify chrism. This right is reserved only for patriarchs. Thus the heads of such churches as Greece, Albania, Poland or Czechia and Slovakia receive chrism from Constantinople. The tomos from January 5 states that the OCU should also receive chrism from the Patriarch of Constantinople. In the text of the tomos, it is stated that this is a symbol of the Church’s unity. It must be said that attempts by patriarchs of Constantinople to retain their right to prepare holy chrism for newly-created autocephalous churches has sometimes given rise to conflicts. Young churches saw in this a restriction of their independence and and Constantinople’s aspiration to hold on to power over them. Thus, for example, in the early 1880s, the Romanian Church entered into a tough conflict with Constantinople in order to gain the right to independently prepare its own holy chrism. And it won. In the tomos on the granting of autocephaly to the Romanian Church (1885), there is no rule about the mandatory receiving of chrism in Constantinople. Neither is there such a rule in the tomos on the granting of autocephaly to the Bulgarian Church (1945). As a rule, tomoi on the granting of autocephaly do not contain a detailed description of the internal structure of the church being created. They merely state the the primate should lead the church together with the bishops who make up the synod. In this regard, the tomos on the autocephaly of the Church of Czechia and Slovakia (1998) is a distinct exception. Here, its internal structure and system of upper leadership is spelled out in significant detail. The tomos on the autocephaly of the OCU also pays attention to certain aspects of the new church’s structure. 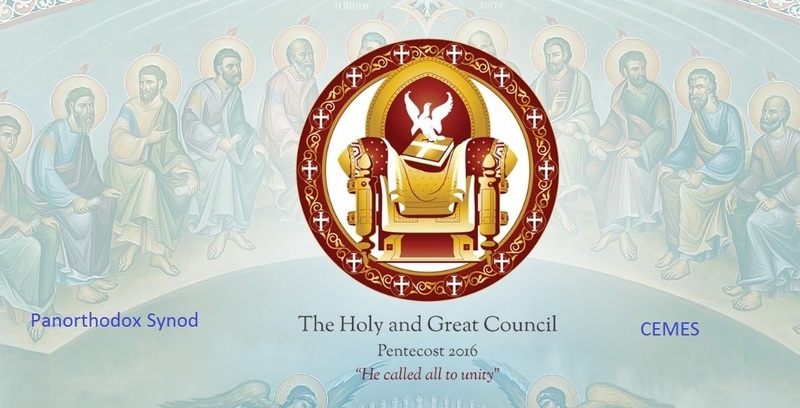 Here, for example, it is indicated how the synod of the OCU should be formed. It should include in alternation all bishops who have eparchies in Ukraine, in order of seniority. It is specifically stipulated that the provisions of the OCU’s charter must fully comply with the tomos. This last rule is also not accidental. There is a recent case where the rules of a tomos on autocephaly and the rules of the charter of an autocephalous church differed significantly. I have in mind the Orthodox Church of Czechia and Slovakia. Its charter, adopted in 1992, was significantly different from the rules provided by the tomos issued in 1998. After having received the tomos, the Church of Czechia and Slovakia continued to abide by its former charter. Only in 2016 did the Patriarchate of Constantinople definitively put forward the requirement that that the charter be brought in line with the provisions of the tomos. So far as we know, this requirement is still unfulfilled. It is quite obvious that today the Patriarchate of Constantinople is trying to rule out such conflicts with the OCU. For this reason, a strict requirement is made in the tomos for the mandatory complaince of the charter with the provisions of the tomos. The tomos’ most painful provision may perhaps be the requirement that the OCU refrain from creating its own structures outside of Ukraine. Not a single one of the previously-issued tomoi had such requirements. In the tomos from January 5, however, it is clearly stated that the jurisdiction of the OCU is limited to the territory of Ukraine. The Metropolitan of Kiev “cannot place bishops or found parishes outside the state.” All ecclesiastical structures existing outside the borders of Ukraine should henceforth come under the jurisdiction of the Patriarchate of Constantinople. Here it is necessary to explain that under the “Orthodox diaspora” it is customary to include all Orthodox residing in territories where local Orthodox churches do not exist (this is primary Western Europe and America). The Patriarchate of Constantinople considers the spiritual nourishment of Orthodox believers in these territories to be its exclusive right. However, contemporary emigrants try to maintain ties to their national churches. Not only Orthodox Ukrainians, but also Romanians, Serbs and Bulgarians finding themselves outside their homeland are extremely reluctant to integrate into the ecclesiastical structures of other churches. Thus practically all local churches today have foreign structures entrusted with the care of emigrants. But the OCU is straightforwardly deprived of the right to create such structures. It is thought that it will now have to conduct difficult negotiations with the Patriarchate of Constantinople on the procedure for appointing Ukrainian priests to serve in Ukrainian churches of communities abroad. It is clear that the subordination of these communities to Greek priests is unrealistic. The last thing to which it is necessary to pay attention is a brief phrase that the Patriarchate of Constantinople maintains its own Exarchate in Ukraine as well as “sacred stavropegia”. 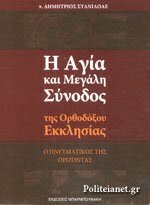 Of course, it would be important to read just how this rule is formulated in the Greek original. In the Ukrainian translation, this sounds like the creation of an exarchate of the Patriarchate of Constantinople on Ukrainian territory. In such a reading, the exarchate is apparently understood as a special territorial structure separate from the jurisdiction of the OCU and directly subordinate to the Ecumenical Patriarch. But it is possible that here it is talking not about a territorial structure, but about the exarchs of the Patriarch of Constantinople, who even after the granting of autocephaly will continue to conduct their ministry in Ukraine. In any case, this means that an official representation of the Patriarchate of Constantinople headed by an exarch (or exarchs) is maintained on the territory of Ukraine. Stavropegia is the name for ecclesiastical structures (monasteries, churches, brotherhoods) which are removed from the authority of the local ecclesiastical hierarchy and are directly subordinate to the patriarch. At one time, the Kiev-Pechersk Lavra, the Kiev-Bratsk Monastery, the Uspensky Brotherhood in Lviv and other ecclesiastical structures on the territory of contemporary Ukraine were stavropegia of Constantinople. There is no clarity about what will now be transferred to the jurisdiction of Constantinople, but it is quite clear that a certain number of stravropegia will be created in Ukraine. As we see, the tomos establishes a rather rigid framework for the further development of the OCU. The Patriarchate of Constantinople has established quite a few restraints designed to prevent processes undesirable to it within the OCU. And through the institution of exarchs and stavropegia, the Ecumenical Patriarchate is creating for itself a convenient mechanism for influencing the ecclesiastical situation in Ukraine in the future. It is not hard to predict that the OCU will not feel quite comfortable within this framework. Will it somehow tear it up? Will the Patriarchate of Constantinople demand strict observance of the provisions of the tomos, or will it turn a blind eye to deviations from the rules? The immediate future of the newly-established ecclesiastical structure depends on the answers to these questions. 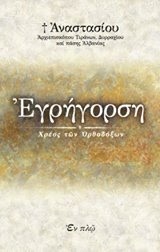 Αναρτήθηκε από Lotsios Ioannis στις 12:44:00 μ.μ.